Fuel shortages in France continue but mounting evidence says the situation is not quite as bad as thought. Also, Roll-Royce kicks off the International Summer Season on Sardinia. But still problems in Paris, and on the Cote d’Azur. Brittany Ferries services may be affected by the general strike in France today and tomorrow, but at least Pont Aven is back. The UK-France-Spain operator’s flagship has been out of action for almost three weeks with propeller trouble. 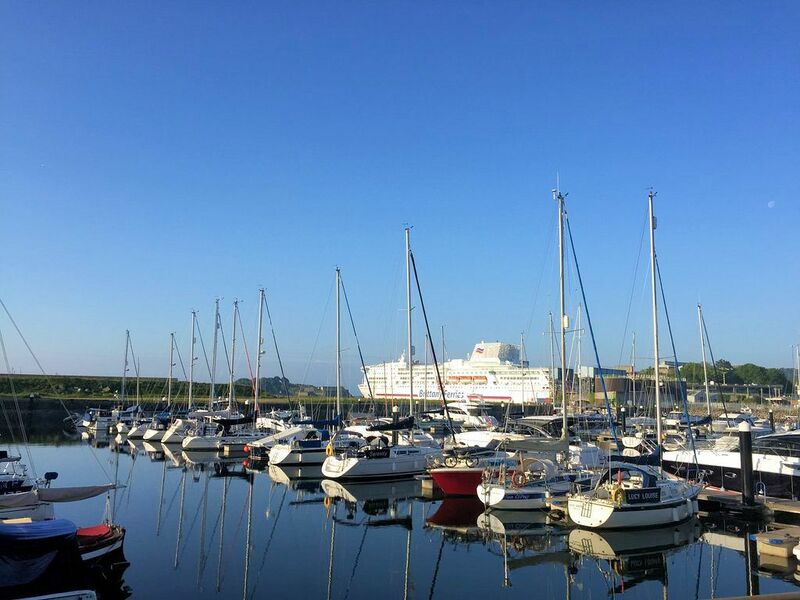 However, drivers hoping to dodge the French fuel shortage with a ferry direct to Spain may struggle to find a seat, but it may still be worth checking at Brittany Ferries. The number of filling stations in France running dry or struggling for fuel apparently topped 45 percent overnight. But the accuracy of the widely-referenced Mon Essence app has been called into question. Newspaper Sud Ouest phoned thirty of the stations marked as closed yesterday and found they were all open. That the situation has been exaggerated somewhat fits with what have been hearing on the ground. And Fifth Gear TV presenter Tiff Needell has apparently crossed France in a supercar convoy over the past few days without any problems (we did ask him for a comment but are yet to hear back). Sparky Lotus said there was no problem with unleaded fro Calais to Nice though there was a €20 maximum at Nice. Transport minister Alain Vidalies said this morning that the situation has improved in the west and north – two of the areas most affected initially – but that problems remain in Paris and the PACA Provence Alpes Cote d’Azur region, from Marseille to the Italian border, in the south east. Even in PACA however, most filling stations in Antibes were fully stocked yesterday according to Ian Martin. Despite all this, until the situation obviously improves – the French government is making compromise noises this morning – the RAC advice ‘not to cross France without enough fuel’ must stand. It also says it does not recommend drivers to carry jerry cans for long distances. Neither P&O nor DFDS allow fuel cans on ferries but Eurotunnel does allow drivers to take extra fuel in ‘appropriate’ containers. Resources: Mon Essence fuel comparison site has a real-time map of affected filling stations, and unaffected stations. VisActu tweets regular updates about the areas of the country affected. See also this twitter list of all France’s prefectures, many of them with info on the local area. See updates on the autoroute networks from SANEF, APRR and Vinci, and from freight refueller AS24. See what happened yesterday, and the current govt sitrep.